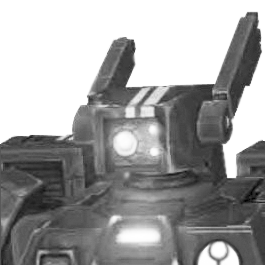 Warhammer Tau: New Battlesuit Sighted? I cannot be certain, but I think we have a new battlesuit sighting. I followed one of the links on Faeit 212 and it led me to this image (Thanks Natfka!). It is not a standard Crisis Suit (new or old), and if it is a customized one it is very good. I believe it may be the new Coldstar battlesuit (though I am hoping for better). Check it out, not counting the Ghostkeel suit, it is the second battlesuit from the left. The shoulder and sensory "head" are easily swapped in from another kit, but the torso/cockpit area is not. The viewport is distinctly different as are the vents on the breastplates. The rest of the model apprears to be the same as the new crisis suits. Here are the links, and I'm not trying to walk on Natfka, just spreading the word. I love his website! In the first picture the last suit between the stormsurge and ghost keel has a different torso. This is the only model like this in either shot. It appear that the suits have similar arm construction like the riptide. By that two piece construction that meets at the elbow allowing greater poses. Weapon options seem to be the same but the flamer has been redone. As mentioned larger bases but that helps the suits look more dramatic than gen 1 models. Fingers crossed that the commander is not in a static pose as shown and can be altered. @amadeusz, I don't think so. The new Broadsides do not have jet packs. That, and they are substantially larger than the crisis suits nearby. I do think so. Look at his jetpack. It's from old XV8 suits. Newer ones have more details on it (panel lines, for example). It's my bet that's just a conversion. And they did use many conversions in Tau line, especially for Farsight shots. You may be right, and I do hope you are. I agree with and concede your points. And I am glad to. Actually, it is a new battlesuit! (Not a conversion) I was hoping for more, but I will take it. Check out the red battlesuit towards the end of the atricle.